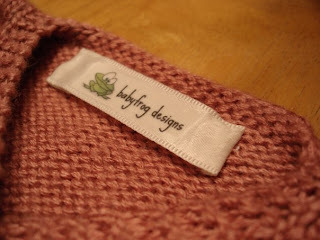 Babyfrog Designs: Logo, labels, and tags, oh my! Here is my logo, which will be made as tags inside the clothes I make. I also purchased a home for babyfrog designs, our very own web domain! 0 comments on "Logo, labels, and tags, oh my!"